The primary driving force for most new inventions is a need. It is also an idea. Teachers and parents of children at the Kangaroo Kids and Billabong High schools knew this well. 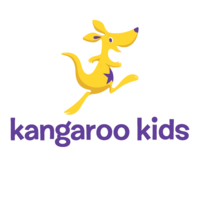 One of the parents of Kangaroo Kids set up a branch of the preschool in Delhi. This was followed by many more all over the country. It was an idea that grew into a movement with one common idea, one common need: to give children access to excellent and high-standard education. Our schools, spread across four countries and 38 cities (as of 2015), attest to this. KKEL is a fully-integrated education service provider supporting a network of owned and franchisee schools. KKEL owned, Kangaroo Kids & Billabong High International Schools, have initiated a movement that has changed the face of pre school and high school education in India. KKEL's revolutionary model of education is imparted at over 100+ Schools and Pre- Schools in 30 cities across India, as well as in Dubai, Middle East and Maldives. Kangaroo Kids Preschools are well-recognised by mainstream schools as institutions that produce confident, creative and eager learners. Kangaroo Kids has been recognised as the most "Trusted Brand" in education by The Brand Trust Study 2014 standing tall in the same league as IIT, IIM, NIIT, Yale University and Oxford. BHIS offers any one or all three ICSE, CBSE and IGCSE boards across India. The Education World Magazine has ranked BHIS amongst the Top 10 International Schools in India in a survey in 2014, and BHIS students upheld our flag at a global stage with World Toppers in the IGSCE exams. The fact that none of the World Toppers enrolled for any kind of tuition is the most important testimony to KKEL's Conceptual Age curriculum. 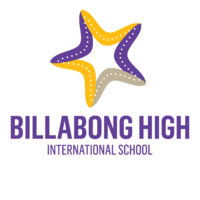 BHIS has a sister association with Billanook College, Australia for sharing of educational resources. Kangaroo Kids Education Ltd. (KKEL) is the fastest growing open pre-school, CBSE, ICSE & IGCSE Board School and International school franchise in India. We are a fully integrated education service provider and offer you a socially and financially rewarding opportunity for entering the fast growing school education business. Our revolutionary education model has been successfully adopted in over 100 Pre-Schools and Schools in more than 30 cities across India, as well as in Dubai, Middle East and Maldives. By choosing KKEL as your IGCSE & CBSE school and open pre-school franchise partner, you will embark on a profitable entrepreneurial journey that will reward you with increasing dividends year after year. Our brand is positioned as a premium pre-school and international school brand. The support structure across our international school and pre-school brands is extremely organised and fully process driven, which ensures that employee attrition does not affect the school’s functioning. If you’re an existing franchisee of our pre-school or international school, here is a growth opportunity for setting up multiple franchises within your city and multiply your returns. KKEL has a vision of igniting human greatness in each child by nurturing every learner’s unique attribute, promoting their creative thinking by developing their talents, building respect and appreciation for hard work and developing their passion for learning. KKEL stands committed for creating enduring stakeholder value for our franchise partners and enhancing the social fabric of every life touched. Our strong values of courageous learning, continuously creating self-awareness, fostering perseverance, encouraging curiosity and pursuing innovation are what we aspire our students to achieve. For ensuring that every learning moments of our children in meaningful and joyful, we continuously strive towards working together as one team with our franchise partners. Extensively developed by spending over 150,000 man hours on the research and design over a period of 20 years, KKEL’s unique proprietary pedagogical model is based on a combination of energy science, neuroscience and contemporary education research.